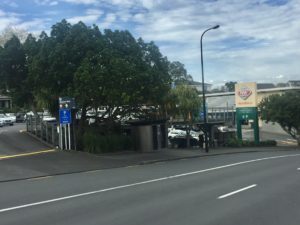 Proposed New Retail Complex for Clonbern Road – Remuera Residents Association Inc.
Major changes are planned for the Clonbern Road New World supermarket and nearby/associated car parking. Remuera New World owner/operator, Adrian Barkla, says the plan is to build a new retail complex with a combination of supermarket and retail space, supported by 2-3 levels of underground parking, over 400 parking spaces. All parking spaces will be extra-wide to accommodate the popular SUV. A memorandum of understanding has been signed with Auckland Transport, the owner of the carpark, to develop the site and a design scoping tender has been released. To learn more about the development and the history of the site refer to page 13-14 of the October 2018 issue of The Hobson.